On summons from Sri Akal Takht Sahib you presented yourself before the Takht on the 25th June, 1994 in connection with your controversial thesis "The Text and Meaning of the Adi Granth". After prolonged deliberations in the sacred congregation of Sikh scholars, you have pleaded guilty in writing to the five charges of misrepresentations levelled against you. In this connection you have also pledged to bow your head before every decision of the Takht. The views expressed in your thesis have caused intense hurt to the sentiments of Sikhs who accept Sri Guru Granth Sahib as their Living Guru. This has been demonstrated by Sikhs in India and abroad through a large number of letters, messages and books, received in the Akal Takht Sahib during the last two years. Such pious sentiments of love towards the Guru, on the part of the Sikh Sangat, have always found expression through the Akal Takht Sahib. 1) You shall not publish this controversial thesis in the present form, nor shall you authorize anyone else to publish it. 2) The charges and the objections relating to doctrines or presentation, raised by Sikh scholars against this thesis, have been pointed out, and accepted by you. Some of these have been given to you in writing. These shall be removed by you in letter and spirit from the thesis. And in case the thesis is to be published in the future, it will be done according to Gurmat with full regard for the sentiments of the Sikh community. 3 ) In deference to the sentiments of the Guru Panth you shall also not publish any other such objectionable material as produced by you earlier. In the future you shall ever keep in mind the sentiments for the ascendancy of the Panth and salvation of all, and conduct only such research on Gurbani and Sikh history, as would lead to blessings of the Living Guru, Sri Guru Granth Sahib and the Guru Panth. 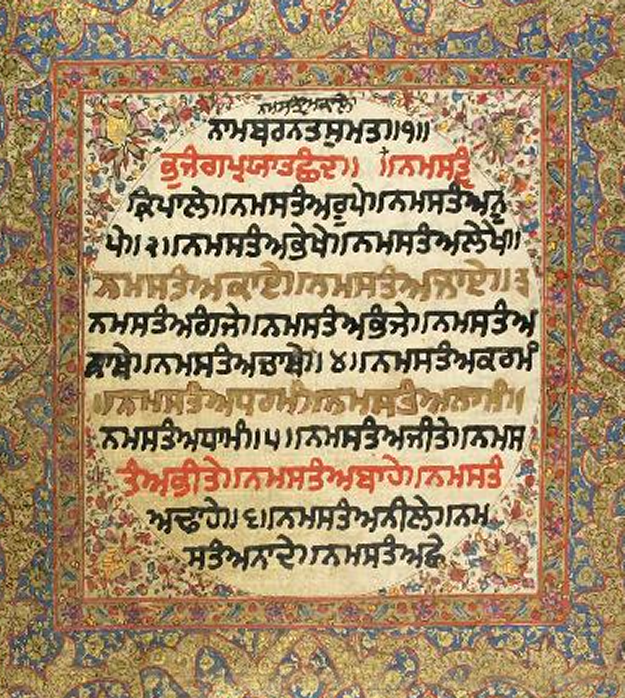 1) In order to seek divine understanding at the portals of the Lord Guru, you shall listen to kirtan at the Darbar Sahib on the 27th and 28th June, 1994 for one hour each day. 2) On these days, for one hour each day, you shall recite the Japuji five times, over and above the nitnem. 3) On the same days in order to seek blessings of the Guru Sangat, you shall join the daily chore of washing the parkarma of the Darbar Sahib for one hour each day in the afternoons. 4) In America, where you live, you shall present yourself at the local Gurdwara Sahib; you shall perform the service of dusting the shoes of the sangat for five Sundays. Also for one hour each day you shall listen to gurbani kirtan, as well as recite Japuji five times, besides the nitnem, on each of these days. At the end, you shall present yourself at the Gurdwara and request the Granthi Sahib to pray for forgiveness / indulgence for you. Under orders from Sri Akal Takht Sahib, appearing at the Takht Sahib, this humble servant pleads guilty to the five charges in respect of my thesis (The Text and Meaning of the Adi Granth), read out as well as given to me in writing. I hereby reject in thought, word and deed all such objectionable formulations that occur in my thesis. I beg forgiveness of the Panth for whatever hurt the conclusions drawn by me in my thesis have caused to the Panth. In future I pledge to serve the Panth as a humble servant of the Panth. I also willingly accept whatever decision is announced by the Singh Sahiban.